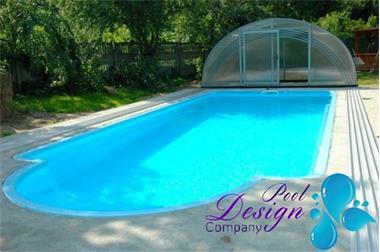 DO YOU DREAM OF A SWIMMING POOL IN YOUR GARDEN? Thanks to our company, this dream can come true today! Test the original products: the first Vinyloester Swimming Pool with Roman stairs. The highest quality for an optimal price! DON’T MISS THE SEASON! ORDER NOW TO ENJOY THE ENTIRE SEASON IN YOUR OWN POOL. - ball valves 2 pcs. + Isolation of the pool with polyurethane foam (PUR) you get for FREE !!! We guarantee 15 years WARRANTY !!! Delivery costs we calculate individually with every buyer. Please contact the seller before purchasing. The most important thing for us is the satisfaction of EVERY customer and not the quantity. The quality is more important than the quantity!